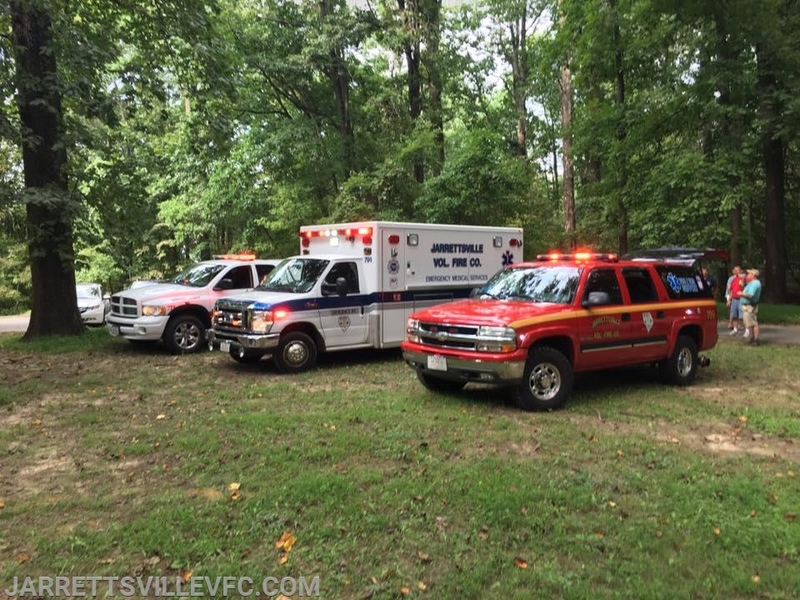 The Jarrettsville Volunteer Fire Company was alerted for a reported fall victim in the area of the King & Queen Seat located in Rocks State Park. Crews from JVFC located the fall victim who stated they fell 10 feet sustaining a leg injury. The Patient was safely removed utilizing a wheeled stokes basket which is carried on JVFC Utility 799. The patient was transferred to awaiting JVFC EMS personnel who treated the patient on scene. Units were placed into service shortly thereafter.